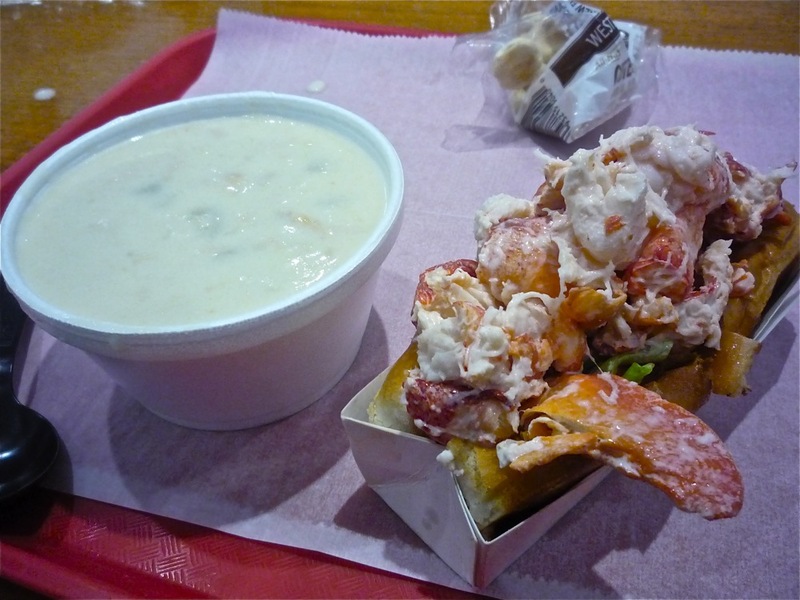 Lobster Pot New England clam chowder and lobster roll. by Eric Hurwitz. Page updated on 3/15/17. All photos by Eric unless otherwise noted. 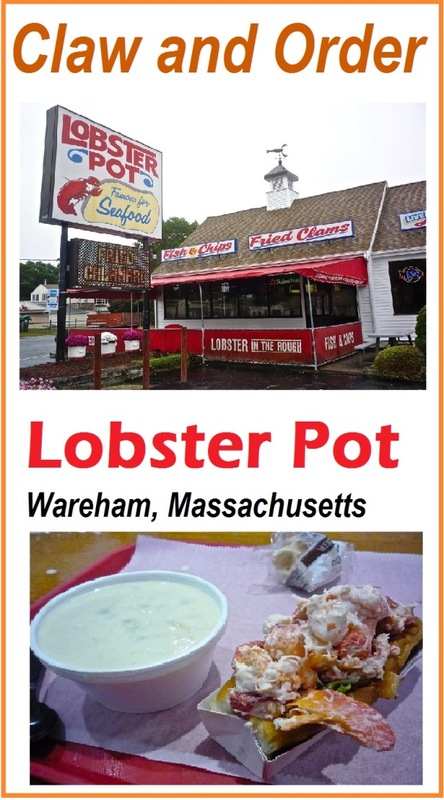 If just the sight of a cartoon lobster sign on a restaurant creates an intense shellfish craving, then the Lobster Pot is certainly hard to bypass on the Cranberry Highway in Wareham MA. 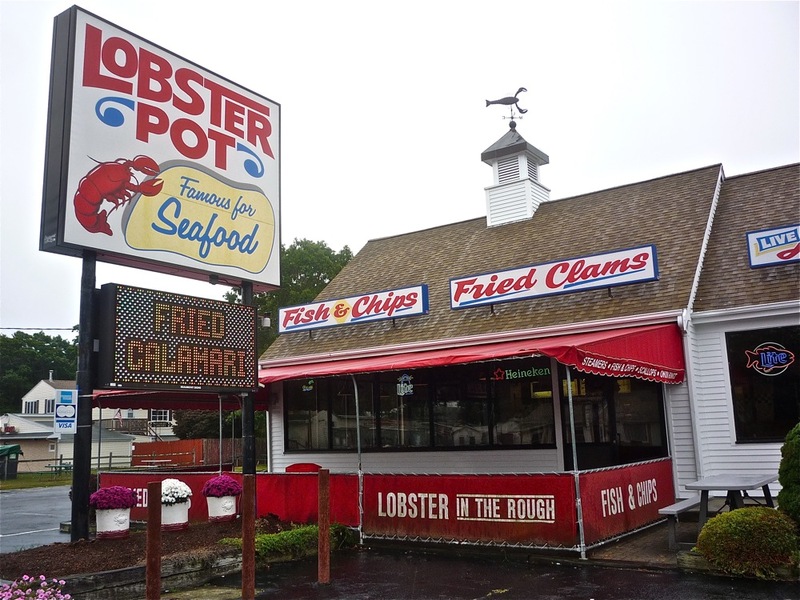 Sometimes, past-their-prime New England seafood shacks serve up lobster as about as appetizing as the sign itself, but the Lobster Pot has withstood quite well the test of time as a beloved lobster restaurant with its origins dating back to 1908. Purely a family-run business, the newest generation carries on the grand traditions serving seafood caught by local fishermen and transforming the fish into some of the most popular dishes on the south coast near the Cape Cod bridges. The menu is huge and so are the lobsters, coming in at as much as 10 lbs. Most will opt for the one-and-a-fourth or two pound versions, or other favorites like fish and chips, lobster rolls, New England clam chowder and whole fried clams. Order at the counter service is fast and efficient, and cleanliness allows for further customer satisfaction as some other seafood shacks can get rather fishy when it comes to hygienic integrity. A spacious, informal spacious dining room with huge booths, and a fish market on the premises, the Lobster Pot might look like another hokey tourist trap on the outside but far surpasses that exterior by adhering to the high standards set by ancestors generations ago. Like this story on the Lobster Pot? Share it on Pinterest!